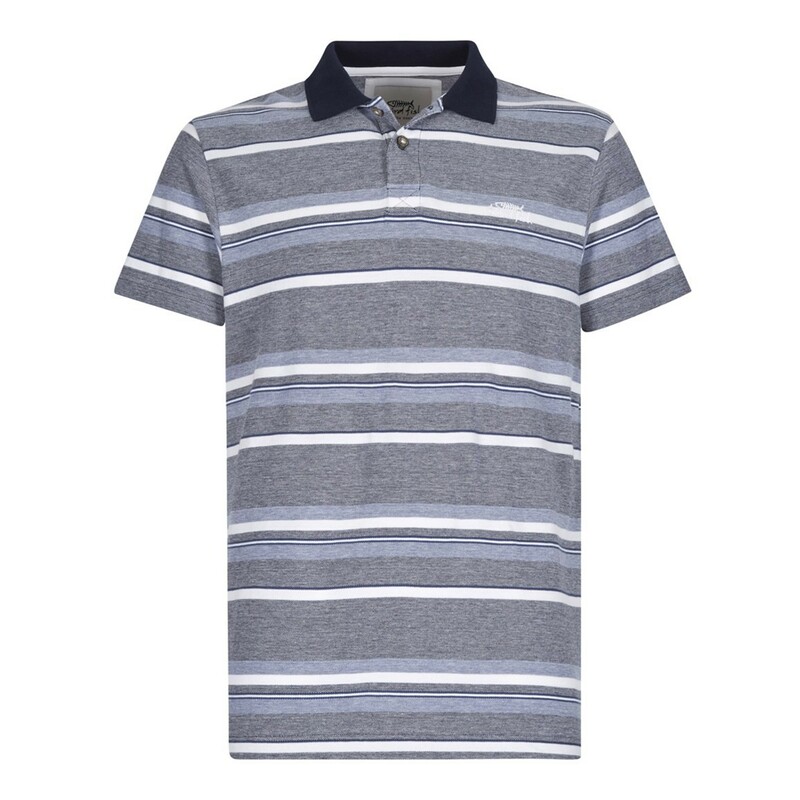 If you’re looking for a classic casual polo shirt with an authentic pre-worn look then choose the Fernley pique stripe polo shirt this season. 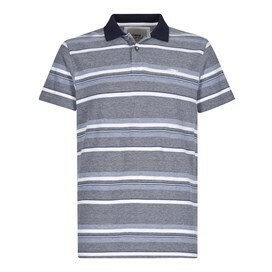 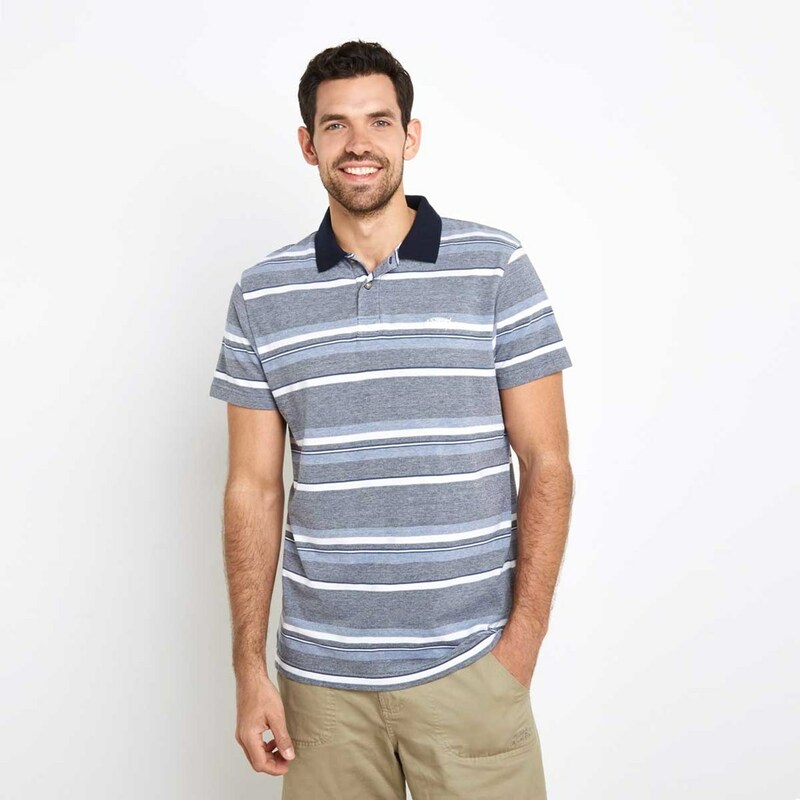 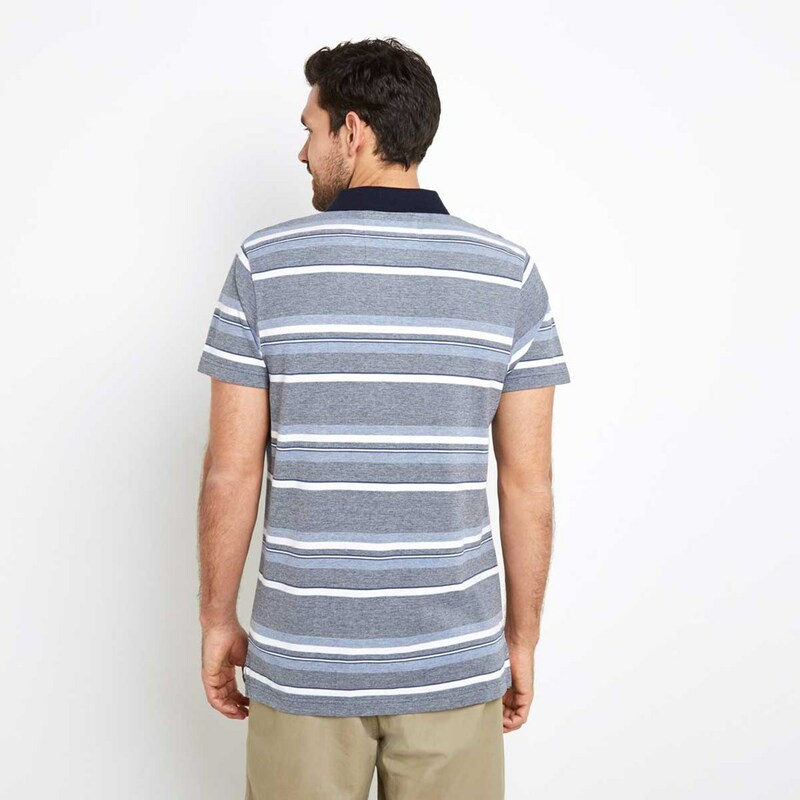 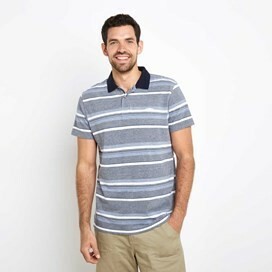 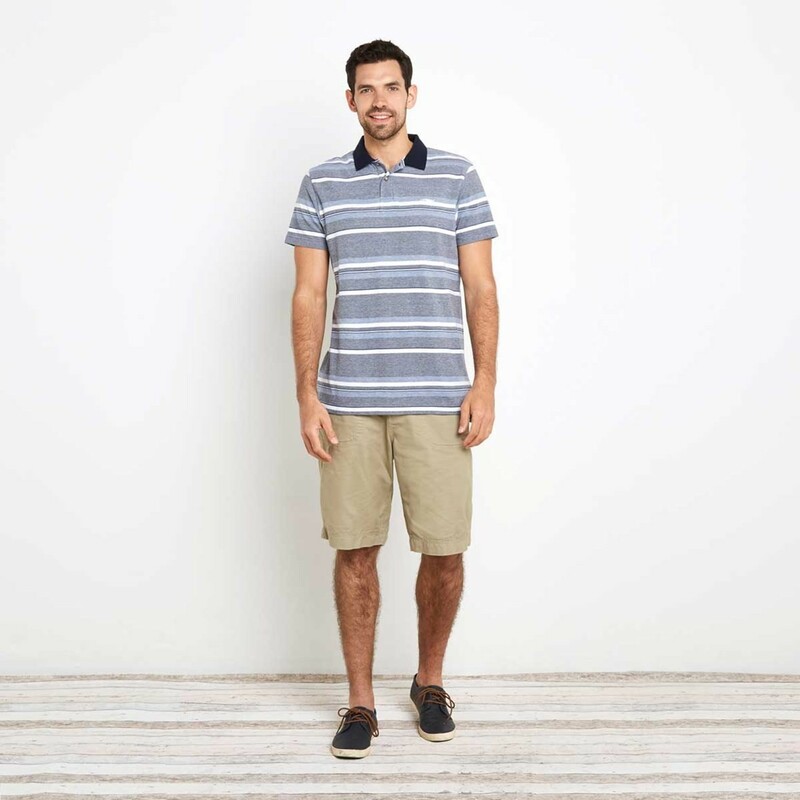 Packed full of nice little design details to help stand out from the crowd our new polo shirt in dark navy features widely spaced horizontal yarn dyed stripes in tones blues and white. 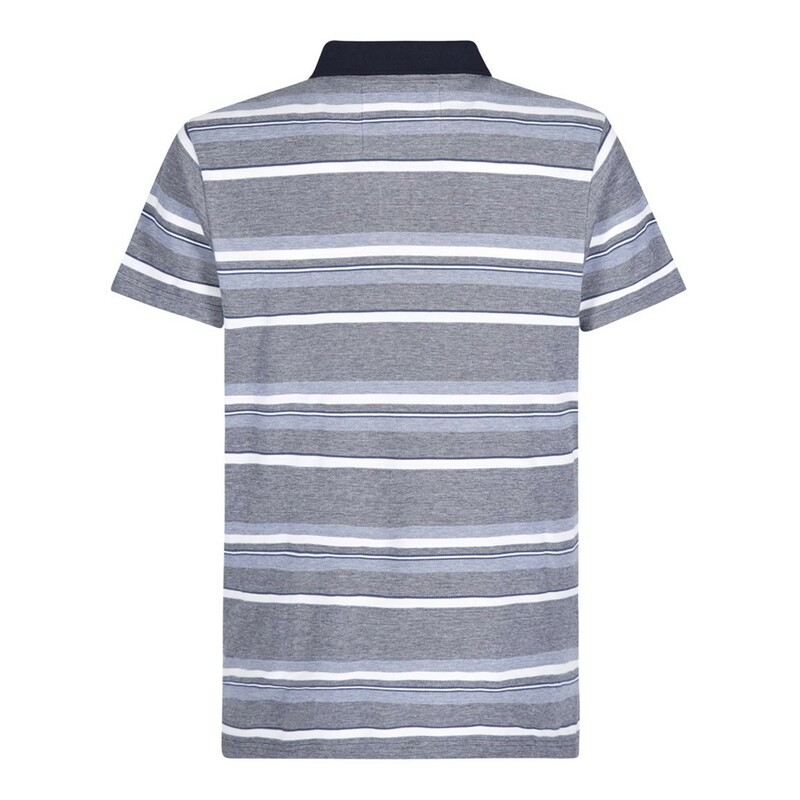 The Fernley pique stripe polo shirt will quickly become a firm favourite, smart enough for family barbecues, relaxed enough for long days on the coast, simply combine with a hoodie or jacket when the temperatures begin to drop. My husband looks lovely in it and it fits him really well - it was just a shame the material wasn't a bit thicker. 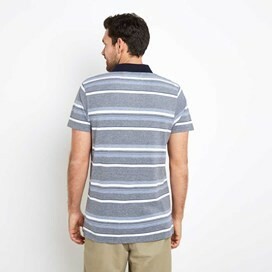 He'll have to wear it in the summer instead of this time of year.